Besides being my best friend when the morning comes to attack with both guns blazing coffee has so many more uses – even after its been brewed. 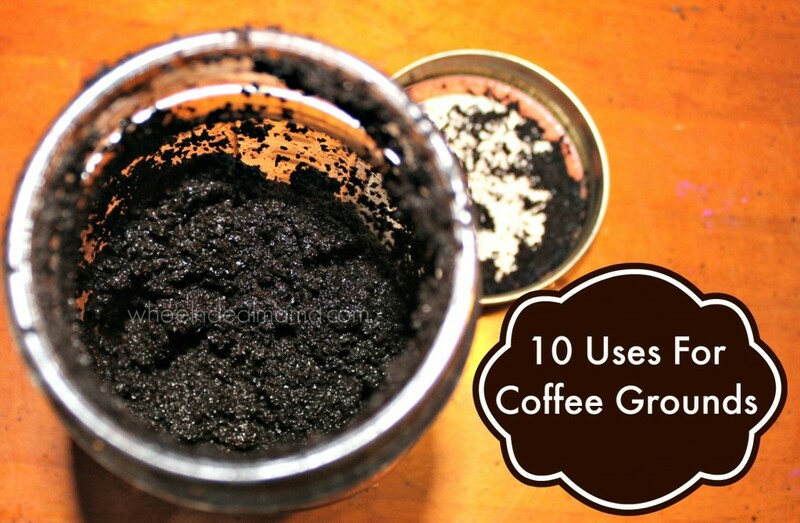 Don’t just toss your grounds into the trash try one or more of these practical uses and see if you don’t earn even more respect for the 5th food group- coffee. Be sure you are following me on Pinterest for more tips and recipes! Staining wood or fabric- A great way to create an aged look on unfinished wood, add water to grounds and rub all over wood surface with a rag, dust off grounds, let dry, sand, repeat if desired for a darker effect. Deodorizer– Place a bowl of used grounds in refrigerator to absorb smells instead of baking soda. Replace monthly with a fresh bowl. Cut the feet off a pair of stockings, fill with coffee grounds, tie off and place under the seats in your car to absorb any “off” smells. 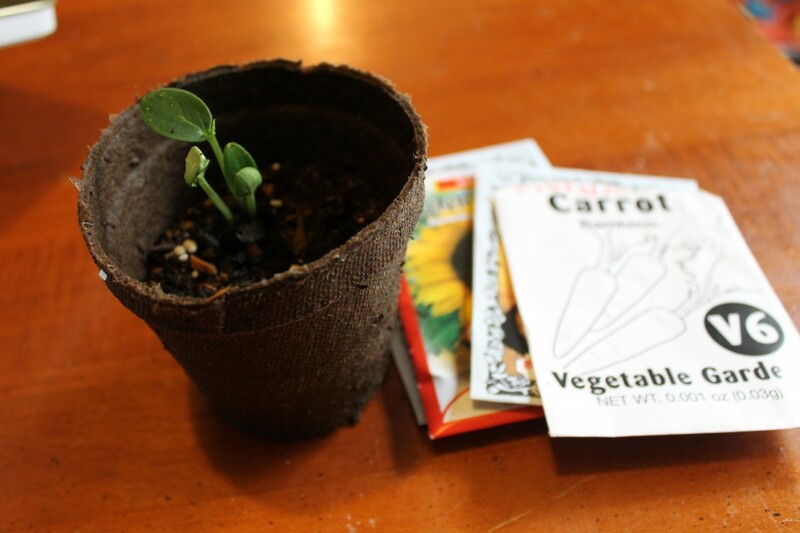 Plant Fertilizer- Add grounds to seedlings and plants, indoors and out for a boost of nitrogen to the soil. Tomatoes and roses especially love coffee grounds sprinkled in the soil or added into your watering can. 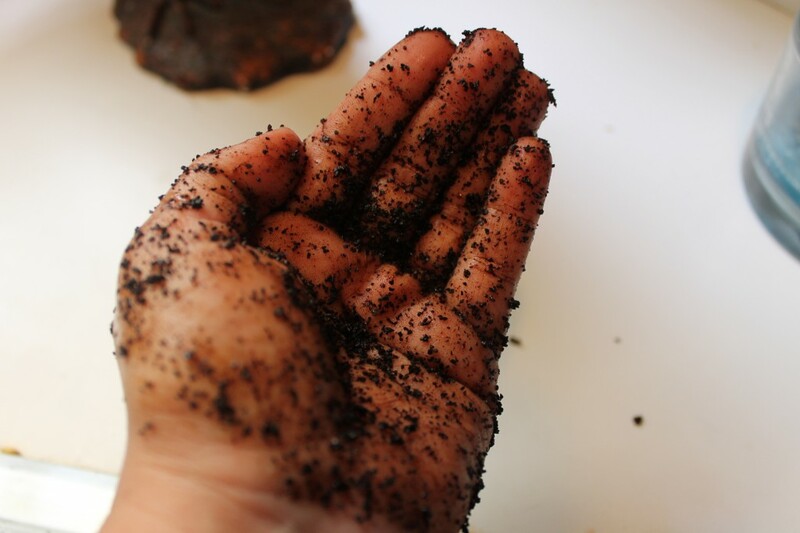 Hand Scrub– Coffee grounds are very effective at removing smells from your hands such as onion , garlic, and fish. Scrub into hands, on the back between fingers to exfoliate and remove odors from skin. Repel Snails, Slugs, and Ants – Sprinkle grounds around windows and doors to repel pests. Sprinkle around plants in your garden frequently to keep slugs and snails from making a meal of your garden. They are also believed to repel cats and keep your garden free of becoming a big litter box. Cover Wood Scratches– Dip a cotton swab or rag into wet coffee grounds and rub into scratches on wood surfaces to make them less noticeable. Play Dough– This is my favorite use for grounds. It makes a pretty play dough that resembles mud in color-great for playing with dinosaurs, bugs, snakes, hot wheel trucks, and even bakery. It makes the house smell amazing while the kids are playing with it! Combine 1/2 cup of grounds , 1 cup near boiling water, 2 Tbsp. of vegetable or coconut oil, 1 Tbsp. cream of tartar. Pot Scrubber– Use leftover coffee grounds to scrub stubborn stuck on messes out of pots and pans. Throw an handful into pots and pans, rub vigorously, rinse, and repeat if necessary. They are also great for scrubbing sinks (not porcelain). Compost– Coffee grounds are a great additive to compost piles, the nitrogen aids in the breakdown of soil and attracts earth worms.